Y. Zhang, C. Cao, J. Cheng and H. Lu, “EgoGesture: A New Dataset and Benchmark for Egocentric Hand Gesture Recognition,” IEEE Transactions on Multimedia(T-MM), Vol. 20, No. 5, pp. 1038-1050, 2018. C. Cao, Y. Zhang, C. Zhang and H. Lu, “Body Joint Guided 3-D Deep Convolutional Descriptors for Action Recognition,” IEEE Transactions on Cybernetics(T-CYB), Vol. 48, No. 3, pp. 1095-1108, 2018. Y. Zhang, Z. Tang, B. Wu, Q. Ji, and H. Lu, “A Coupled Hidden Conditional Random Field Model for Simultaneous Face Clustering and Naming in Videos,” IEEE Transactions on Image Processing (T-IP), Vol. 25, No. 12, pp. 5780-5792, 2016. Y. Zhang, Y. Zhang, E. Swears, N. Lario, Z. Wang and Q. Ji, “Modeling Temporal Interactions with Interval Temporal Bayesian Networks for Complex Activity Recognition,” IEEE Transactions on Pattern Analysis and Machine Intelligence (T-PAMI), Vol. 35, No. 10, pp. 2468-2483, Oct. 2013. Y. Zhang, Z. Tang, C. Zhang, J. Liu and H. Lu, “Automatic face annotation in TV series by video/script alignment,” Neurocomputing Vol. 152, pp. 316-321, 2015. J. Liu, Y. Zhang, Z. Li and H. Lu. “Correlation Consistency Constrained Probabilistic Matrix Factorization for Social Tag Refinement”. Neurocomputing, Vol. 119, pp. 3–9, Nov. 2013. Y. Zhang, C. Xu, H. Lu and Y. Huang, “Character Identification in Feature-length Films Using Global Face-Name Matching,” IEEE Transactions on Multimedia (T-MM), Vol. 11, No. 7, pp. 1276-1288, 2009. 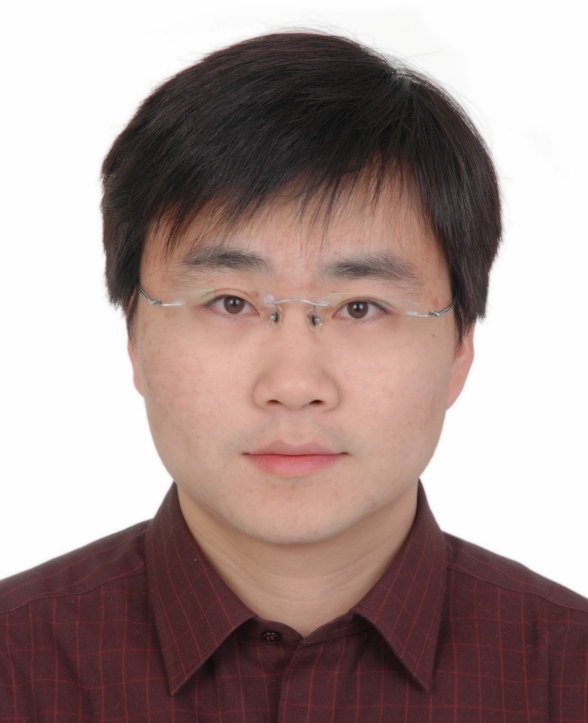 Y. Zhang, C. Xu, X. Zhang and H. Lu, “Personalized Retrieval of Sports Video Based on Multi-modal Analysis and User Preference Acquisition,” Multimedia Tools and Applications (MTA), Vol. 44, No. 2, pp. 305-330, 2009. C. Xu, Y. Zhang, G. Zhu, Y. Rui, H. Lu and Q. Huang, “Using Web-cast Text for Semantic Event Detection in Broadcast Sports Video,” IEEE Transactions on Multimedia (T-MM), Vol. 10, No. 7, pp. 1342-1355, Nov. 2008. P. Wang, Q. Hu, Y. Zhang, C. Zhang, Y. Liu and J. Cheng, "Two-Step Quantization for Low-bit Neural Networks," in Proceedings of IEEE International Conference on Computer Vision and Pattern Recognition (CVPR), Salt Lake City, US, 2018. Q. Hu, G. Li, P. Wang, Y. Zhang and J Cheng: Training Binary Weight Networks via Semi-Binary Decomposition. ECCV 2018: 657-673. C. Cao, Y. Zhang, Y. Wu, H. Lu and J. Cheng, "Egocentric Gesture Recognition Using Recurrent 3D Convolutional Neural Networks with Spatiotemporal Transformer Modules," In Proceedings of IEEE International Conference On Computer Vision (ICCV), Venice, Italy, 2017. Q. Hu, J. Wu, L. Bai, Y. Zhang and J. Cheng, "Fast K-means for Large Scale Clustering," In Proceedings of CIKM 2017: 2099-2102. C. Cao, Y. Zhang, C. Zhang and H. Lu, “Action Recognition with Joints-Pooled 3D Deep Convolutional Descriptors”, In Proceedings of International Joint Conferences on Artificial Intelligence (IJCAI), 2016. Z. Tang, Y. Zhang, Z. Li and H. Lu, “Face clustering in videos with proportion prior”, In Proceedings of International Joint Conferences on Artificial Intelligence (IJCAI), Buenos Aires, Argentina, 2015 (Oral). C. Cao, Y. Zhang and H. Lu,“Multi-modal learning for gesture recognition”, In Proceedings of IEEE International Conference on Multimedia and Expo (ICME), Torino, Italy, 2015. C. Cao, Y. Zhang and H Lu “Spatio-Temporal Triangular-Chain CRF for Activity Recognition”, In Proceedings of ACM Multimedia 2015: 1151-1154. Z. Tang, Y. Zhang, S. Qiu and H. Lu, “Video Face Naming Using Global Sequence Alignment,” In proceedings of IEEE International conference on Image Processing (ICIP), Paris, France, 2014. Y. Zhang, Q. Ji and H. Lu, “Event Detection in Complex Scene Using Interval Temporal Constraints,” In Proceedings of IEEE International Conference On Computer Vision (ICCV), pp. 3184-3191, Sydney, Australia, 2013. B. Wu，Y. Zhang, B. Hu and Q. Ji, “Constrained Clustering and Its Application to Face Clustering In Videos," in Proceedings of IEEE International Conference On Computer Vision and Pattern Recognition (CVPR), Portland, US, 2013.